The Bureau of Economic Analysis has been measuring this phenomenon for two years now; it recently published its data for prices in 2014. Using this data, we have adjusted the value of $100 to show how much it buys you in each state. For example, Ohio is a low-price state. There, $100 will buy you stuff that would cost $111.98 in a state at the national average price level. You could think of this as meaning that Ohioans are, for the purposes of day-to-day living, 11 percent richer than their incomes suggest. 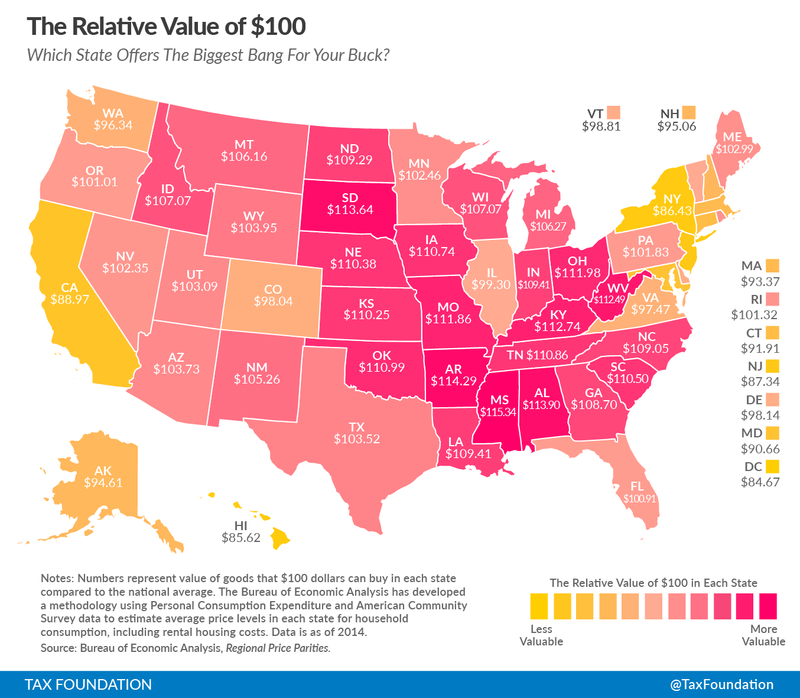 The states where $100 is worth the most are Mississippi ($115.34), Arkansas ($114.29), Alabama ($113.90), South Dakota ($113.64), and West Virginia ($112.49). In contrast, $100 is effectively worth the least in the District of Columbia ($84.67), Hawaii ($85.62), New York ($86.43), New Jersey ($87.34), and California ($88.97). See the table at the bottom of this post for a ranking of all 50 states. Many policies – like minimum wage, public benefits, and tax brackets – are denominated in dollars. 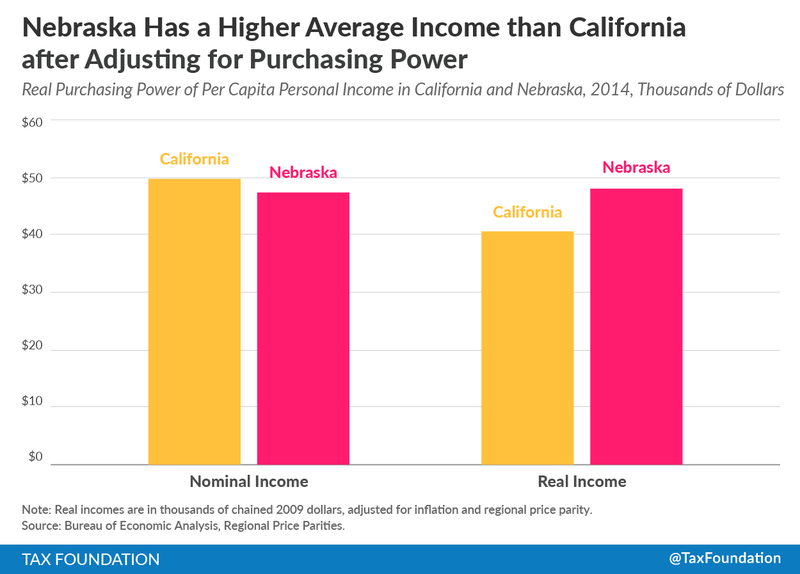 But with different price levels in each state, the amounts aren’t equivalent in purchasing power. 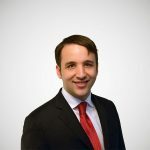 This has some unexpected consequences; people in high price-level states like New Jersey will often pay more in federal taxes without feeling particularly rich.